If you’re all about neon color, fun geometrical shapes, and 1980s pop culture, then you are going to be floored by Sasha Bikoff’s latest design experience. 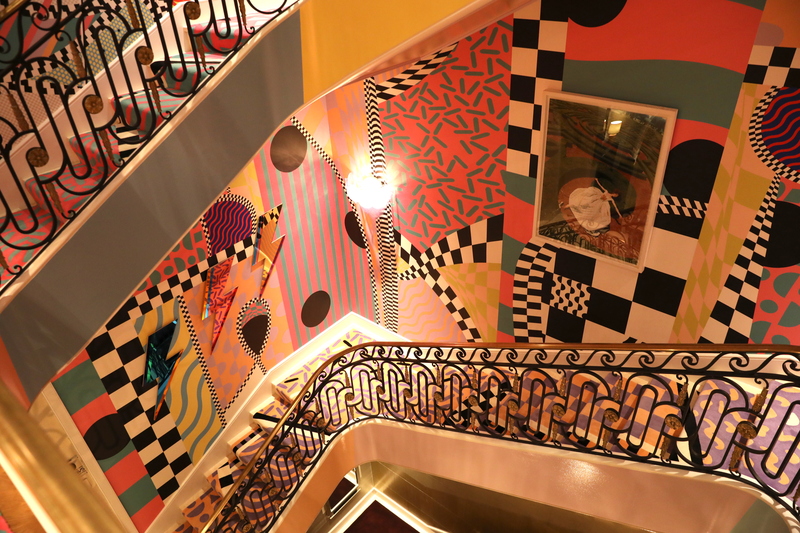 The interior designer is the mastermind behind the show-stopping and electrifying stairwell at this year’s 46th Annual Kips Bay Decorator Show House, a stylish event in New York City that benefits the Kips Bay Boys & Girls Club’s after-school programs. 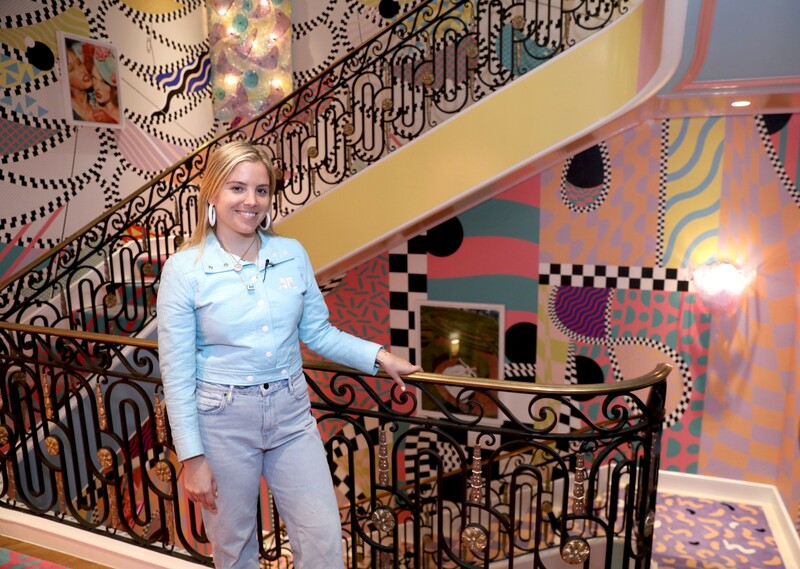 House Tipster was on the scene for the 2018 Show House’s VIP unveiling, and guests couldn’t help but marvel at the dizzying array of vibrant rainbow colors, sparkling textures, and shapes composing Bikoff’s spiral staircase. That is exactly the effect she hoped to accomplish in the first place. “It’s really important for me to design an experience and a vibe for people that walk through,” the designer tells us as she showcases her space. 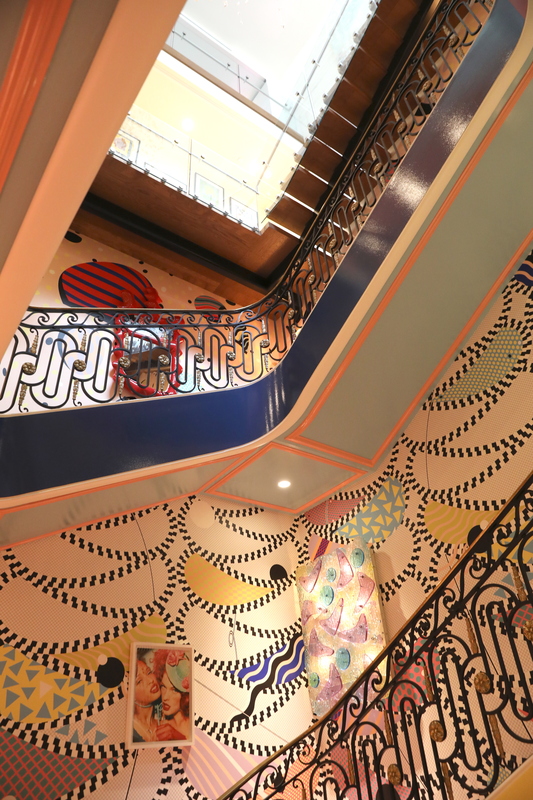 The stairwell features eye-catching details at every turn, from zig zag elements, colorful custom carpeting, painted murals, vintage light fixtures, and Polaroid photos of top 80s supermodels and music acts adoring the walls and mirrors. Everywhere you looked, there was a fun reference or recognizable feature that brought back whimsical memories. Sasha Bikoff knows all about the charity programs that the Kips Bay Boys & Girls club does for over 10,000 children around the Bronx, and wants to ignite these students’ creativity through her work. You may be sitting back and marveling at the designer’s impressive work, but also wondering how you would ever be able to incorporate such statement-making colors and shapes into your own home décor. Luckily, Bikoff has some advice for you. The designer’s fearlessness is evident in this captivating stairway, and it was a wonderful transitional space for journeying throughout the other incredible rooms within this year’s Kips Bay Decorator Show House. To stay up-to-date on the designer’s latest work, head on over to her website. Keep an eye out for our video coverage of this interview, coming soon on Tipster TV and our Facebook page.